Benvenuti to our Pasta Masterclass! In this hands-on class, you will learn how to make the perfect fresh pasta. The night begins with the restaurant manager introducing himself and our in-house Pasta Maestro Marco the chef guiding guests to the delectable antipasto bar. The antipasto bar consists of warm Italian bread, scrumptious hunks of buffalo Parmesan cheese in a giant wheel and freshly sliced prosciutto. 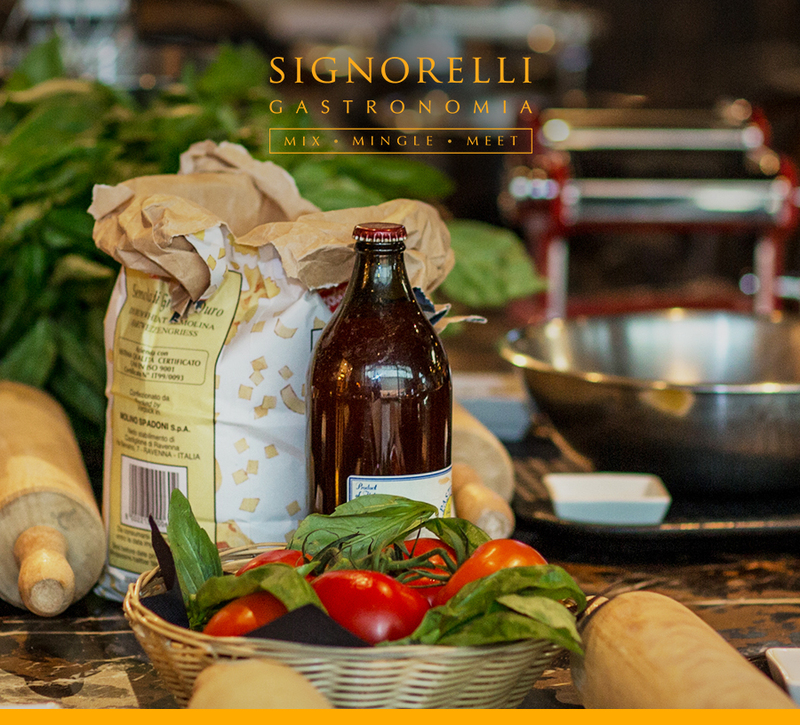 You are then invited to stand back, munch on these delicious treats and enjoy a complimentary Italian wine or a bottle of Premium Beer from our wine room as you absorb the ambience of Signorelli Gastronomia. This class takes you through step-by-step how to make authentic al dente fresh pasta and understanding the difference between pasta varieties. Our in-house Pasta Maestro Marco will demonstrate kneading and other necessary techniques to ensure you create the perfect consistency. Be rewarded for your efforts by sharing a meal and a glass of Italian wine at the end of the session. - Guaranteed lots of Fun! For enquiries and more information call 02 8571 0616.